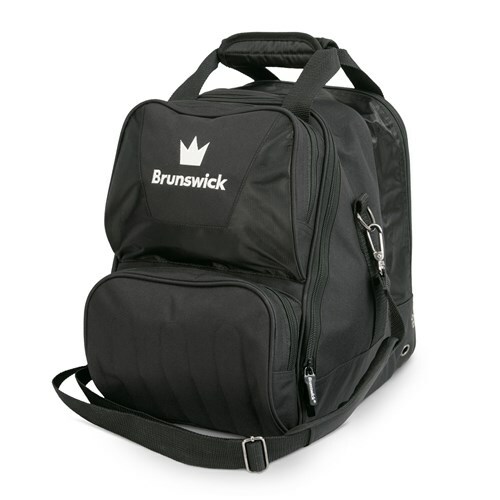 The Brunswick Crown Single Tote is the top of the line quality bag that Brunswick has to offer. This high quality bag features a detachable rotating shoulder strap, two front zippered accessory pockets for your bowling accessories and a large separate shoe compartment that holds up to size 12 shoes. Brunswick also offers a 2 year limited manufacturer's warranty. Due to the time it takes to produce the Brunswick Crown Single Tote Black ball it will ship in immediately. We cannot ship this ball outside the United States.